As of 10 p.m. Wednesday night: 2,174 homes and 3,200 people evacuated, 5 structures destroyed, according to officials with the San Bernardino National Forest. 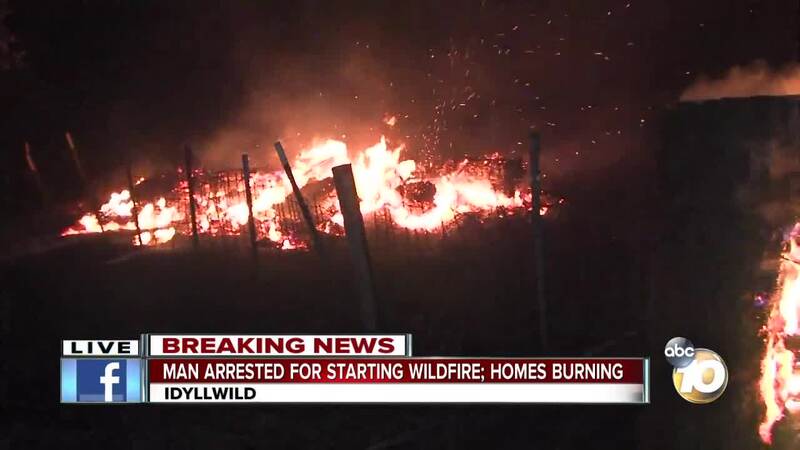 UPDATE (9:19 p.m.): Authorities arrested a 32-year-old man from Temecula, identified as Brandon N. McGlover, for allegedly setting multiple fires, including the Cranston Fire. McGlover was booked on five counts of arson, according to our ABC affiliate in Los Angeles. IDYLLWILD, Calif. (KGTV) — Multiple structures have been destroyed and thousands of acres have been scorched by a wildfire burning in Idyllwild, just west of Palm Springs. The fire, dubbed the Cranston Fire, began just before 12 p.m. Wednesday off Highway 74 and Control Road, between Hemet and Mountain Center, and quickly spread to hundreds of acres within about an hour. As of 8:45 p.m., the fire had burned 4,700 acres. 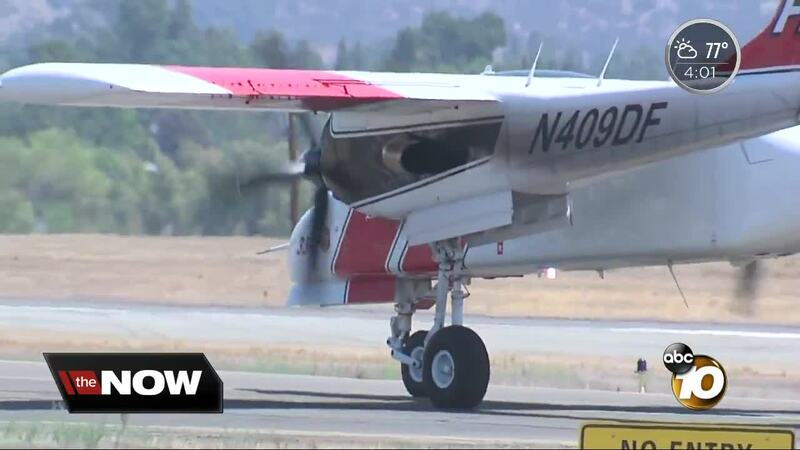 The fire is 0 percent contained, according to San Bernardino National Forest. 2,174 homes and 3,200 people have been evacuated and five structures have been destroyed. CAL FIRE, Riverside County Fire, and San Bernardino National Forest crews are currently battling the blaze. Local crews from San Diego and Lakeside Fire have also been sent to help. Evacuations have been ordered for all residents of Idyllwilld, Pine Cove and Fern Valley. Those looking for where to bring large pets are asked to call the Riverside County Dept. of Animal Services at 951-358-7387, and to stay on the line through their recording to be transferred to their emergency line. An evacuation center has been established at Banning High School, located at 100 W. Westward Ave in Banning. The school is open for residents, to reunify with campers, and for small and large animals. San Jacinto High School is also open for large animals. Authorities arrested 32-year-old Brandon N. McGlover for allegedly setting multiple fires, including the Cranston fire. McGlover, who is from Temecula, was booked on five counts of arson, according to our ABC affiliate in Los Angeles. One person has been detained for questioning in connection with intentionally causing the fire. Police have not released any names, but photos showed one man being detained as well as various canisters being photographed by authorities. For 24-hour updates, call the fire information center for the public at 909-383-5688. #CranstonFire : The fire information call center for the public is now open. Call 909-383-5688 for information. Smoke from the massive fire could be seen from North San Diego County.